A Fred Taylor personal appearance, Fred Taylor speaking engagement, or Fred Taylor endorsement will reflect well on your company. To hire Fred Taylor now for any corporate appearance, fundraiser, motivational speaker event, personal appearance, autograph signing, or website endorsement please contact our celebrity agents at 1-877-6-SPORTS. We will contact Fred Taylor or contact Fred Taylor's agent and provide you with the booking fees and availability immediately upon your request. Direct Sportslink is the only sports speakers bureau and talent booking agency based in the United States securing only sports talent for corporations, associations, and organizations for motivational speaking engagements, personal appearances, and endorsements. We are the premier sports celebrity booking agency and a sports celebrity procurement expert. Accordingly, we will provide you with any relevant Fred Taylor website information and booking agent details so that you can hire Fred Taylor for your next event. Taylor was a college star from 1994-1997 at the University of Florida. 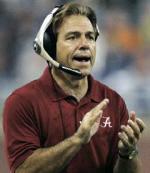 In Taylor's junior year, he rushed for two touchdowns in the team's 1996 National Championship victory over Florida State. As a Jacksonville Jaguar in the NFL, Taylor has enjoyed an illustrious career as one of the NFL's premier running backs. He has multiple years as a 1,000 yard rusher. As a rookie in 1998 he set 29 team records. As of 2009, his 14 rushing touchdowns in 1998 ranked third all-time in NFL history for a rookie running back, and his 17 total touchdowns also qualified for third-most by a rookie. Taylor received the second-most votes for AP Offensive Rookie of the Year that season. In 1999 Taylor set the NFL postseason record for the longest touchdown run (90 yards). On November 11, 2007, against the Tennessee Titans, Taylor became the 21st player in NFL history to rush for 10,000 yards in a career. 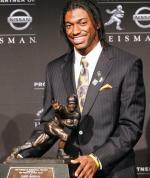 On January 31, 2008 he was named the 2008 FEDEX Ground Player of the Year. Taylor participated in the 2008 Pro Bowl. It marked Taylor's first Pro Bowl appeaance in his 10-year career. In 2009 Taylor was signed by the New England Patriots where he played his final two seasons. 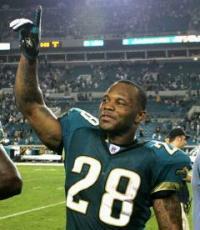 On September 2, 2011, he signed a one day contract with the Jaguars to officially annouce his retirement. The following year, the Jaguars announced Taylor would be inducted into the Pride of the Jaguars. Based on your interest in Fred Taylor as a speaker or for a personal appearance, Direct Sportslink has provided you additional links below for other sports talent with similar appearance fees, speaker topics, and categories that match Fred Taylor.